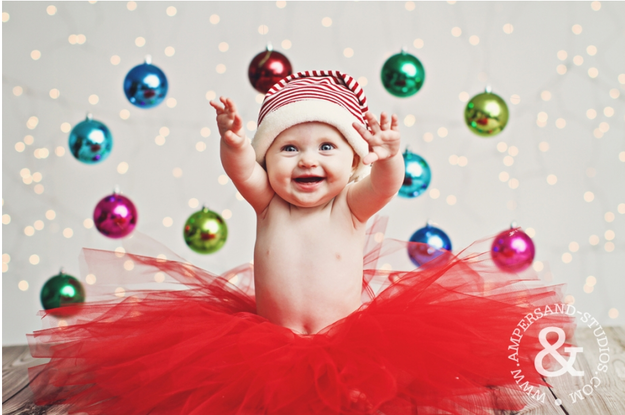 These 15 Cute Christmas Photo Ideas to celebrate babies first Christmas will have you smiling all season long. 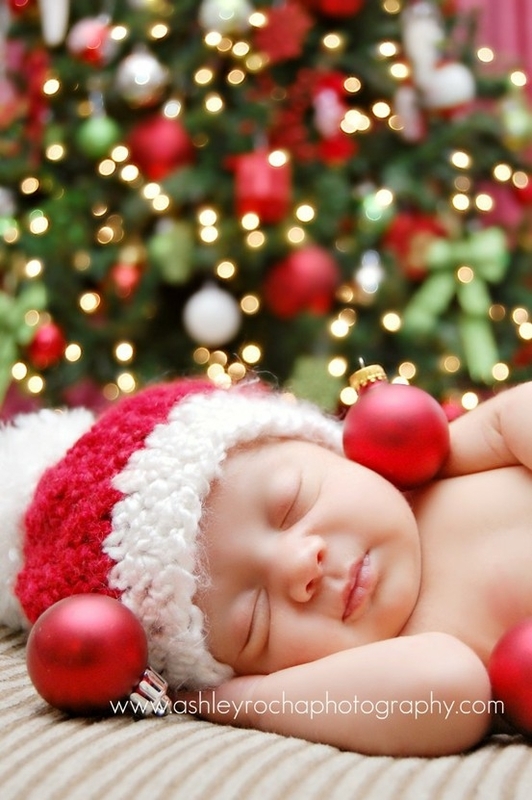 Babies…babies…babies…we all love babies, and dressing them up with cute Christmas themes is SO much fun this time of year! 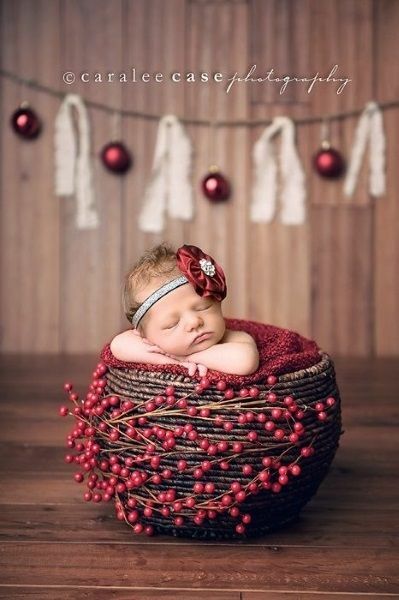 Since I don’t have a baby, I have fun looking at Christmas photo ideas for little ones. 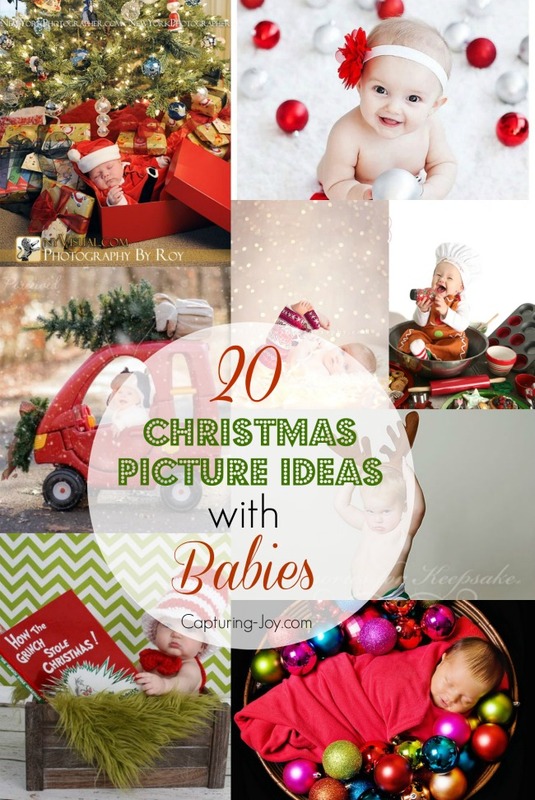 I previously shared, 20 Christmas picture ideas with babies, and it was so popular that I thought I would share even more Christmas photo ideas! 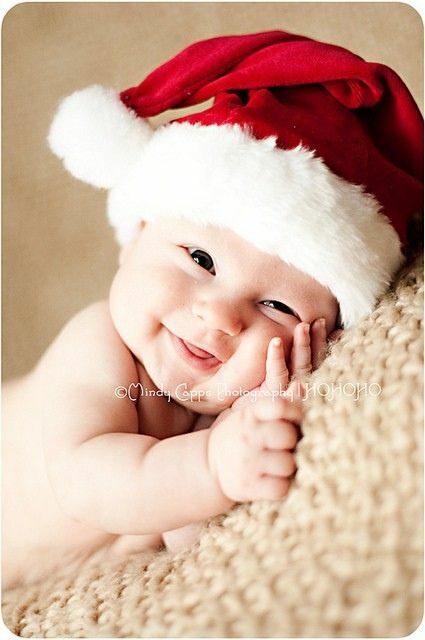 Who doesn’t love a baby in a Santa hat? You know what is better than a baby in a Santa hat? 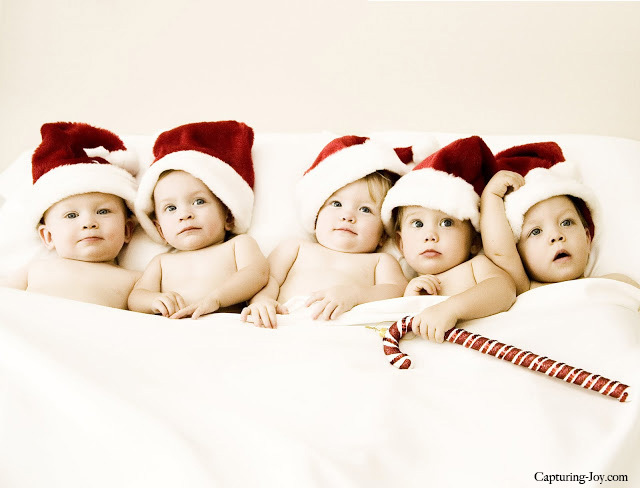 Five babies in Santa hats! I took this picture years ago and these quints are all grown up now! 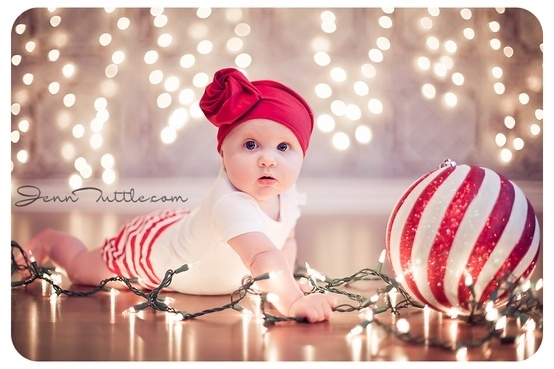 15 Christmas Photo Ideas for Babies First Christmas. Click on the links below each image to see the source of all of these wonder Christmas photo ideas with babies and more from the talented photographers that took these pictures. 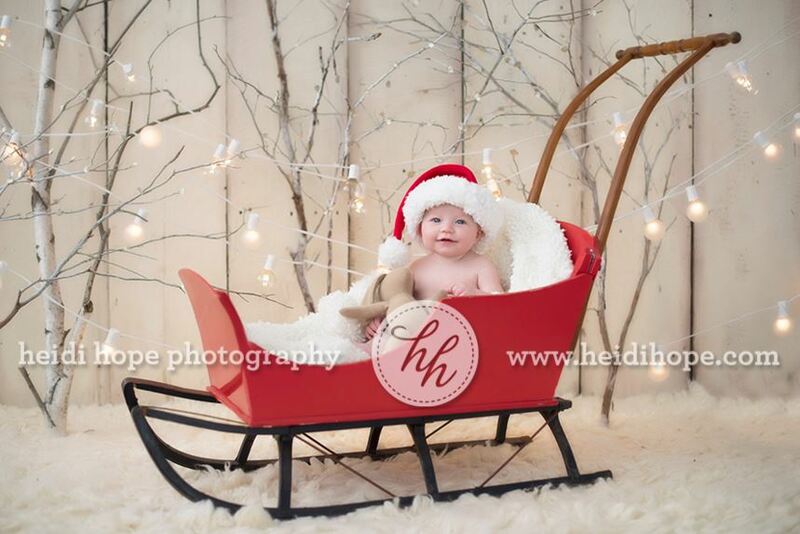 Nothing but a Santa hat for this cutie from Mindy Capps Photography. 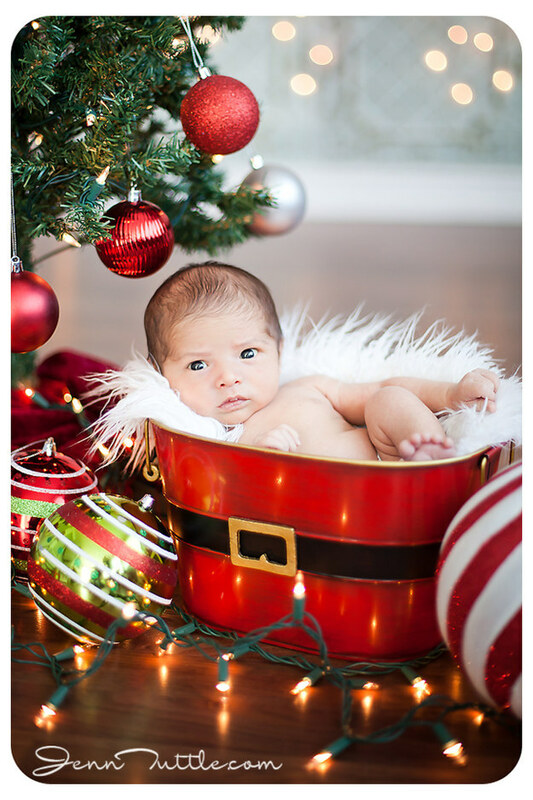 This little guy is all wrapped in lights at Melissa Diep Photography. Snuggled under the Christmas tree is a great place to be. 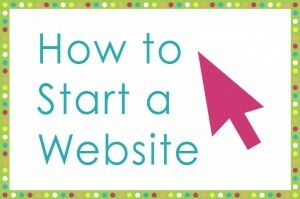 Just ask Ashley Rocha. 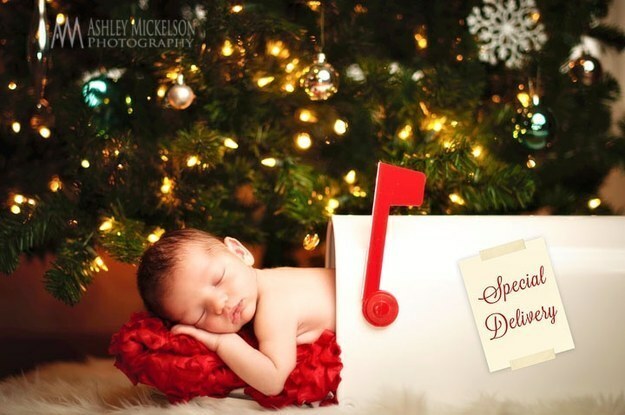 And who would love this Christmas delivery from Ashely Mickelson Photography. I love this bundle of Christmas from Caralee Case Photography. And this sleeping Santa who couldn’t finish his cookies and milk. 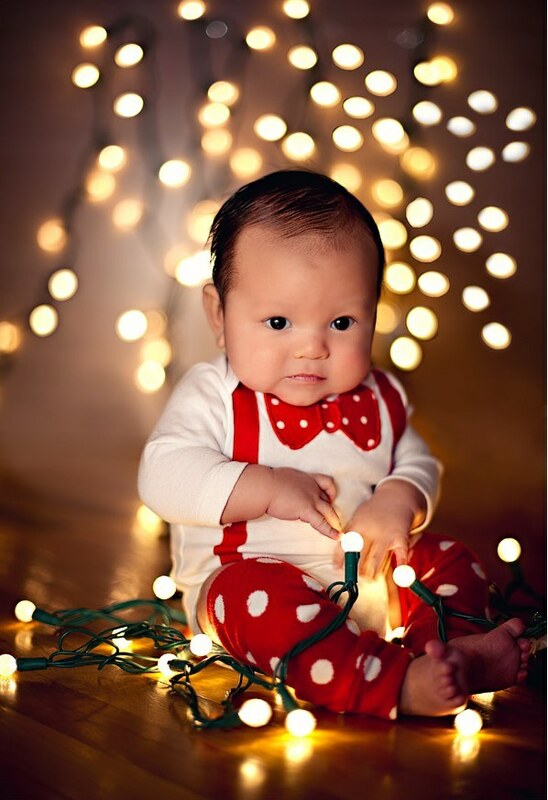 Christmas photo ideas with twinkle lights like these from Jenn Tuttle are always a favorite. 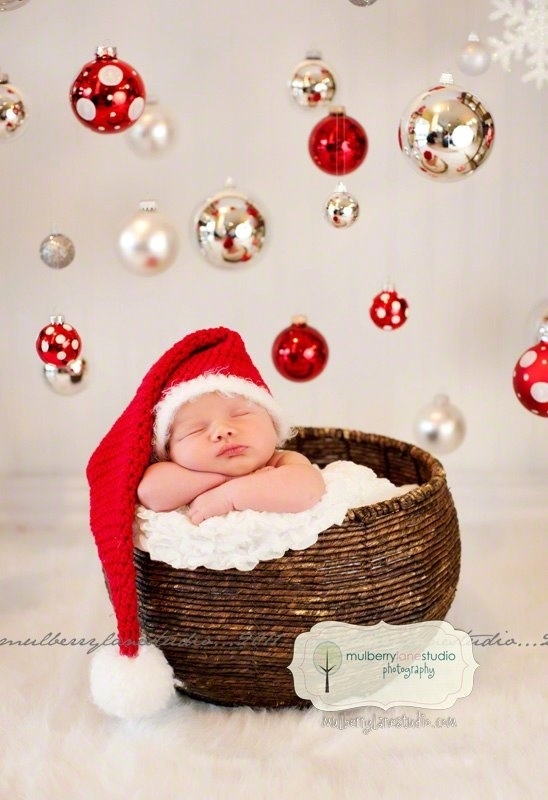 Another Christmas Photo Idea I love from Jenn Tuttle is this baby in a Santa Bucket. 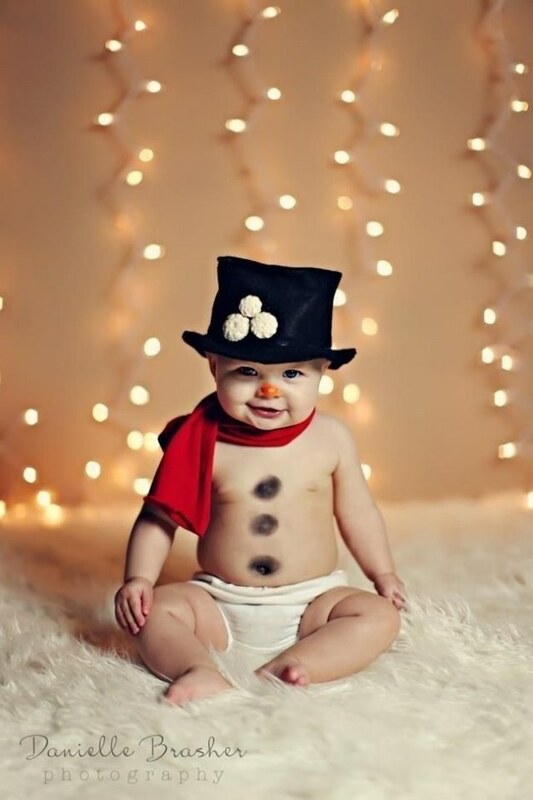 And don’t get me started on this adorable snowman from Danielle Brasher Photography. I love this Christmas Photo of mommy and daddy kissing behind Santa from APM. 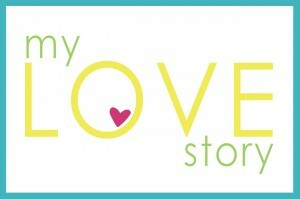 And these angel wings from Harvard Homemaker are too cute! Floating oranments are always a great Christmas Photo Idea. 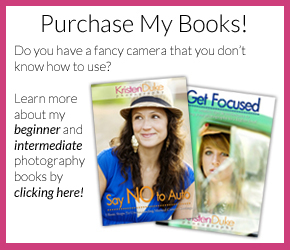 I love this setup from Mulberry Lane Studio Photography. 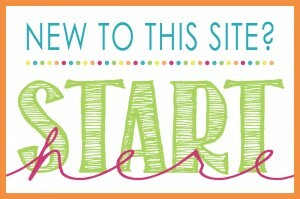 And the addition of a tutu from Ampersand Studios makes it even cuter! Quintuplet Santas are 5 times the cute! 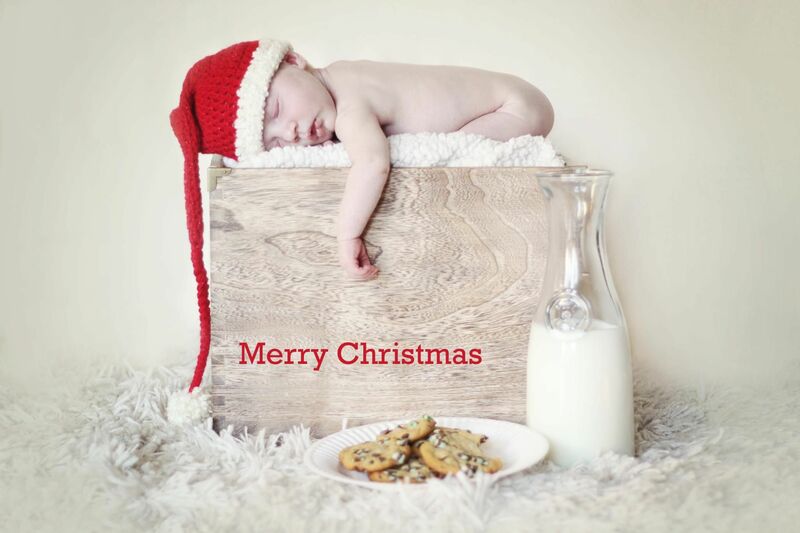 And no Christmas photo idea is sweeter than this one from Barefoot Photography. 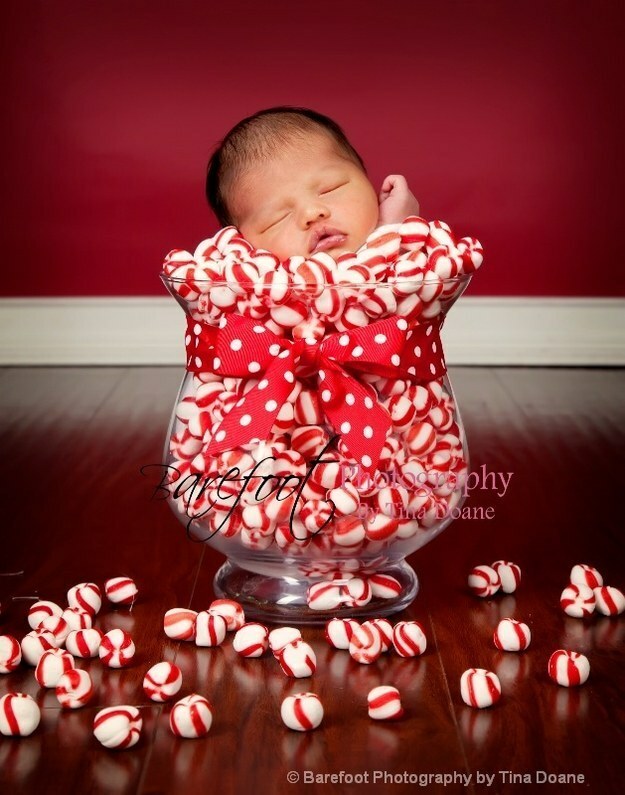 Nothing is sweeter than these cute Christmas babies, but this Christmas Crunch comes close! 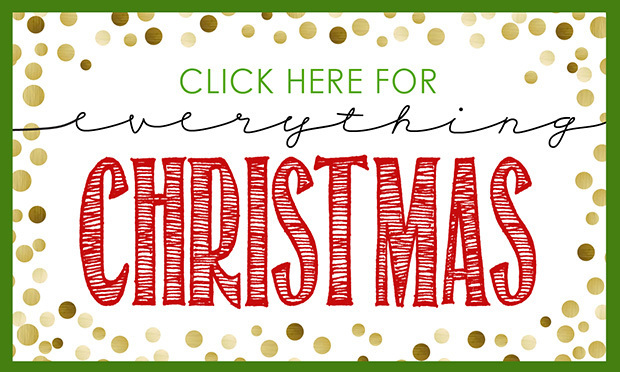 To see more Christmas family ideas, click on this link or on the image below!